Quality performance providing reliable shipping solutions. Freight transportation wherever, whenever and however you choose. Dedicated service producing excellent results. Deployed Logistics has been the freight shipping and freight forwarding choice for some of the most demanding shippers since 2007. Our proven record of personalized service with a team that knows shipping has been the solution for thousands of customers who need discounted competitive rates for their ground freight shipping. 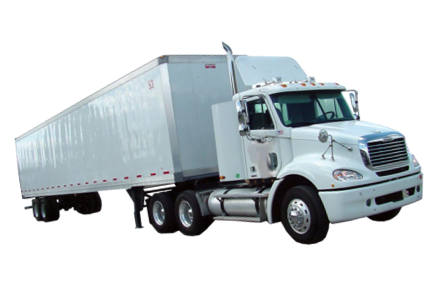 We can provide timely truck freight rate quotes through our national trucking network of trusted affiliates. And, you’ll have the assurance we can give you competitive prices, meet your schedule, and deliver on quality. The Deployed Logistics web-based, real-time freight tracking tools make it easier than ever to book your freight shipment to and from any state and provide the personal care you need for less-than-truckload (LTL) shipping, intermodal shipping and full truckload (FTL) shipping. From the start giving you a competitive ground freight rate quote, we offer fully integrated logistics solutions -- warehousing services, expedited or time-specific services, packaging and palletizing, and ocean cargo management. From our early days serving lifestyle brands like O’Neill, Quiksilver and Billabong, we continue to provide reliable care with a team easily available online and by phone to work directly with you and provide flexible freight transportation solutions. We are licensed as a NVOCC, Indirect Air Carrier, Freight Forwarder and Motor Carrier. If it involves using trucks, rail, or ships, Deployed Logistics supports all your freight forwarding needs. Deployed Logistics has one shared mission—to provide the best-value for freight transportation services in a manner that exceeds customer expectations.